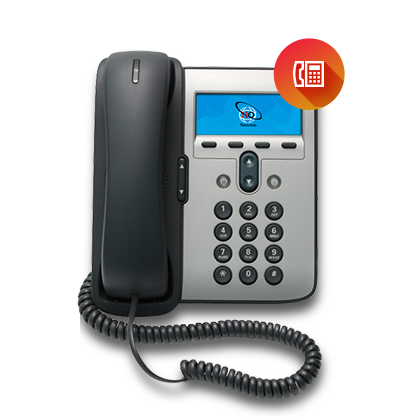 If your looking for a landline service at HQ telecom we have a range of landline solutions to meet your business needs. Whether you are a small business or a large company we have the right solution for your business now and in the future as it grows from strength to strength. Now no matter the size of your company you can enjoy a super-fast and ultra-reliable phone line, whether you have two to eight employees (ISDN 2) or run a larger business (ISDN 30). This means that not only is the sound quality completely clear, but you can now use just one phone line for multiple calls so that all your employees can have a handset on their desk, enabling them to make calls whenever they want and making sure that your business continues to run at maximum productivity. Ideal for small offices, a business analogue line is a single line can be a cost-effective yet highly-useful way to communicate with customers and suppliers. By combining both telephone and internet delivery into one data pipe you can now connect your offices together and set one of them up as a head office, therefore enabling you to transfer calls to your satellite locations for free. It’s a more efficient and more reliable service as you’ll be able to source all your telecoms requirements from just one place. So call today on 0844 844 8585 for the right phone and internet connection for your business.